So, maybe it’s too early to tell, but I think this may just become one of my all-time favorite series. It’s a little different, and I can see how maybe it’s not everyone’s cup of tea, but I FREAKING FELL IN LOVE with this book! The writing style did take a few chapters to get used to. The first chapter was told in second person, which was a little weird, but then it goes on in first person and it blew my mind. The writing was extremely personal and really made me connect with the main character, Nathan. It even slightly reminded me of stream of consciousness. The writing just completely absorbed me and I have nothing but love for this style. The plot also spoke to me on so many levels. I love how at first it seems like your standard ‘good guys’ (in this case, the White Witches) versus ‘bad guys’ (in this case, the Black Witches) kind of story, but then it turned out to be so much more. The good guys are not necessarily all that good and the bad guys are not all that bad. And it brings up the question of nature versus nurture. The things the so-called good guys are doing to Nathan are despicable. Because he’s half White and half Black he is put through hell and it is just not fair, guys! Needless to say, I love Nathan and I feel fiercely protective of him. The pacing was a little slow overall, but I didn’t mind at all because it meant that the focus was on Nathan and his character development. It felt like an introductory book and I’m sure that what’s still to come will be EPIC! There is a little romance, but honestly it’s a little bland and insta-lovey. However, don’t let this keep you from reading this, because there are so many more interesting relationships in the book. The relationships Nathan builds with all people around him are intriguing, but none more so than the one with his friend Gabriel. I’m a sucker for friendship stories, so yay for books focusing on friendship (with just a hint of something more)! Overall, I LOVED this book and would recommend it to everyone. It has a few aspects, like the writing style and the pacing, that I understand if they’re not everyone’s cup of tea, but I would still urge you to give it a try. If you like dark books, with morally complex characters, magic and witches, this one may be perfect for you! “The trick is not to mind. 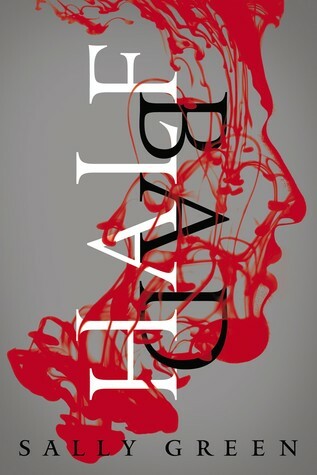 Have you read Half Bad? What did you think about it? LOVE ALL THE QUOTES YOU SHARED!!!! Thanks! I do hope you’ll like this book when you get to it! And good luck with Nanowrimo! I’m glad that you enjoyed it! Personally, for me this book was kind of a hit or miss. Some of the scenes were brilliant and made me think, while the others were just kind of a mess. I didn’t really get the infatuation with the girl either, there just wasn’t really enough material to see me though! I completely adore all of the quotes that you’ve used though! !